we drove around the streets of West LA for a very long time (I swear the lady who lives in our GPS cannot be trusted) and when we found The Corner Bakery we didn't really feel like an awesome sandwich or soup any more. So we drove around the block a few more times and I spotted Enzo's Pizzeria and both of our stomachs did a little flip and our mouths started to water. We love little hole-in-the-wall-type places. They are usually pretty great. 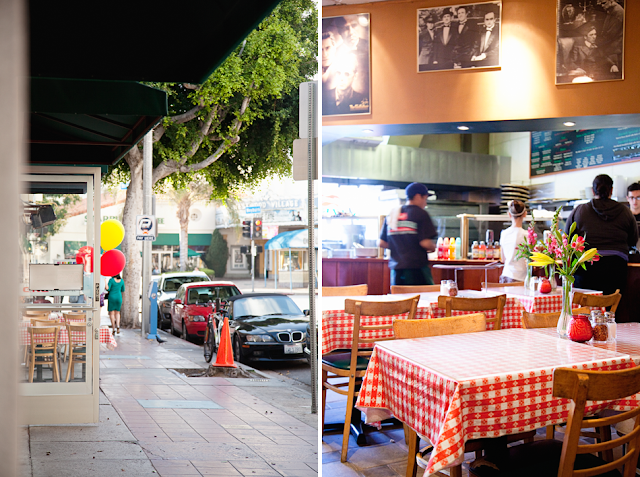 Enzo's was better than great—it was fantastic! Tasty-Tasty! Delish! (we recommend it.) The sauce was incredible and the crust was perfect, and it was thin (we like thin), and they were ginormous (we like ginormous)! Jas got Canadian Bacon w/ pineapple and plain pepperoni and I got pepperoni with green bell peppers. Which I firmly believe is one of the best topping-combos known to man (aside from supreme). 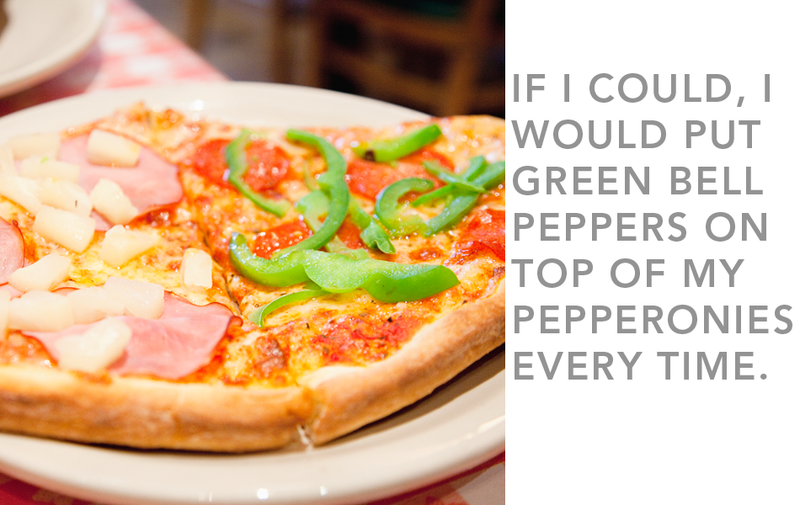 My favorite is pepperoni with tomatoes on top! Mmmm... pizza!! Great, now I want pizza! I love pepperoni and olives, bell peppers look like a tasty treat tho. it has been my family's MUST visit every time we head back to our so cal roots. faaaaabulous. Mmm, I'm gonna have to try the peppers, I love 'em! I'm a sausage pizza kind of girl, not italian sausage though, just regular ole Jimmy Dean's fried up on the stove. Yum! @Lauren We are totally hitting up Itallian Pizza Rosa next date night! It looks like it's right by us! Saaaaweet! sounds good to me, too. I'm all for Jason's side, though. We've yet to find a decent pizza joint in portland. It kind of makes my heart thinking about it. I just spent a gloriously long time reading your blog. You two are so cute! Love it!